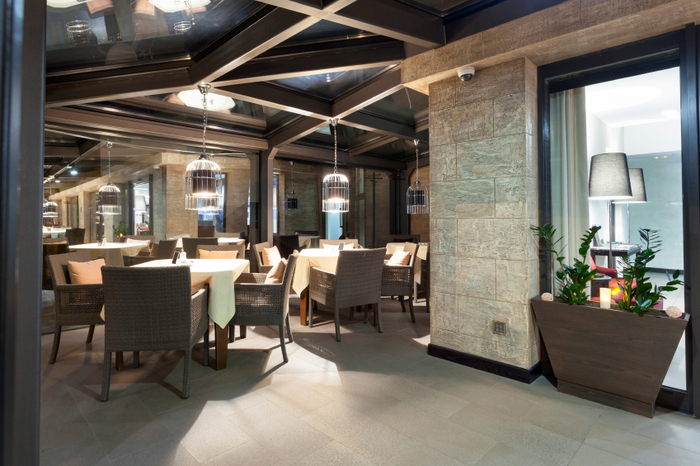 If you are a construction company or remodeling agency that does floor and tile work for the service industry, you know the difference great flooring and tile walls can make in a bar or restaurant. Sturdy, yet beautiful and intricate tiling creates an atmosphere in this type of setting and can help set a business in a highly competitive market a step above the rest of the pack. Aside from an aesthetic standpoint, tile flooring and walls must also be easy to clean (think grease and organic materials in the kitchen) and sturdy as well, as service industry businesses face high volumes of traffic – all of which can add wear and tear to your floors and walkways. Because of this, Premiere Tile Group provides only the finest brands in the tile product industry – names such as Anatolia, Vitromex, and Lungarno all find a home in our product catalogue.